Exclusive! An exotic print to whisk you away to another time and place! 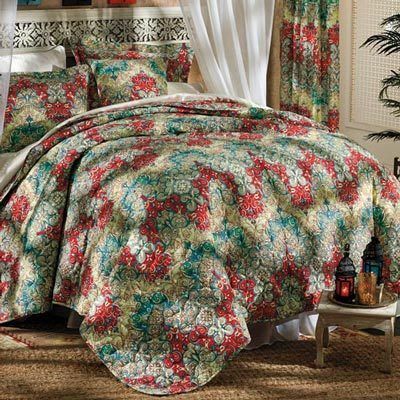 Picture-perfect on any bed, this reversible Taj Mahal Quilt Set and Accessories is sure to be an instant classic. Long-wearing polyester microfiber with polyester fill. Extra soft and easy-care. Imported. Machine wash.